I had this dream on Mother’s Day (in the United States). I was trying to write a list about the qualities that make up the perfect mother. In real life, I have two mothers or even much more than two because I have had several parental figures in my life. I have the woman who adopted me, who is not my mother, who I refuse to call my mother, and who the law states is in fact my only mother. Adoption is a strange thing. I had a mother before the woman who adopted me became “mom;” I was swiftly taken away from my mother at four years old and she was given the future title of being my “birth mother, biological mother, natural mother” or any other term society wants to throw onto her. I refuse to do that to her. She was and always will be my mother to me regardless of what names society calls her. It’s quite confusing to know and have memories of my mother and being forced to call the new woman who started raising me “mom.” I always wondered why I had to lose my mother and why I could no longer see her. So, I wrote my list, or attempted to write my list of what makes the perfect mother, but all the details I wrote down didn’t make any sense. There were so many details missing that I could not, by any means, finish the compare and contrast list of the qualities needed to be a “good” mother. I have a special necklace that I wear. 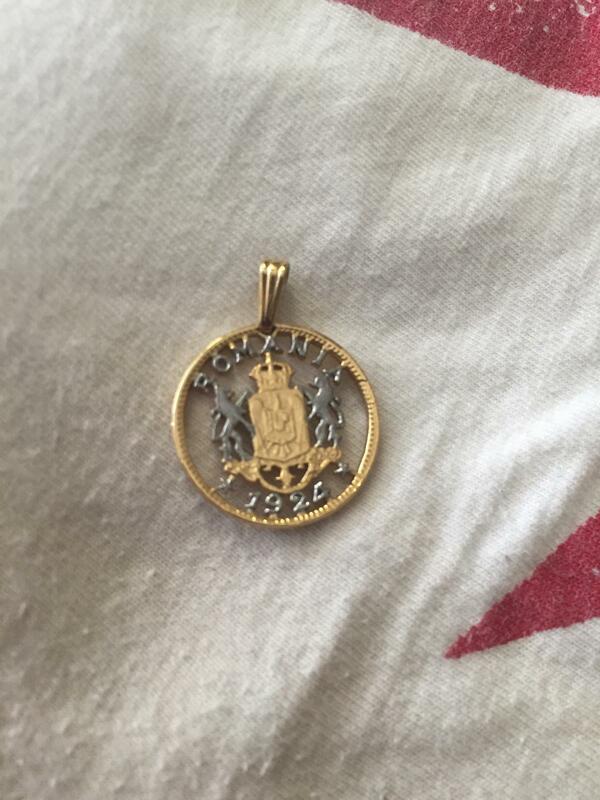 It is a replica of a Romanian 1924 “penny.” I have a friend in New Jersey who has the same replica. We are both adopted from Romania, and this pendant is very special to both of us. Hers was a gift from her adoptive father, while I found mine online and purchased it. In my dream however, I had lost this necklace. I never take the necklace off and I wear it all of the time, but it had fallen from my neck and I couldn’t find it. I couldn’t find it anywhere. Romania was lost. A few years ago, back in 2013, I met two dear friends of mine who work in the field of adoption trafficking. We had met in Amsterdam around the time of my first visit to Romania after being adopted to the United States. In this dream, I was with these two friends of mine and we were in the city we had met at. There was a huge crowd around us and they were pushing and shoving us in the attempt to stop us from deporting and leaving Amsterdam. The crowd separated me from my friends and then I heard somebody shouting at me. Then I felt hands grabbing at me. It was another friend of mine, who lives in Europe and has worked with both of the members of this adoption trafficking team. She was trying to arrest all of us. The three of us were trapped and we were trying to leave before the police came. I was in a large wooden boat, alone in the middle of the ocean. Waves were coming towards me and I was taking them on one by one. I was proud of myself for making it over the waves that kept becoming bigger and bigger. I was amazed that my sailboat had shrunk in size but was still intact. I went through some waves and others I went directly over without any problems at all. It was very exciting until this monster of a wave came rushing towards me. It looked exactly like the wave on Interstellar. My boat crept up to the top of this wave rushing towards me. I had made it safely up the rollercoaster wave, but coming down the other side of the mountain wave, everything had disappeared. The wave and boat were both simply gone, and there was absolutely nothing left beneath me. It put me into a state of panic and I woke up from my dream turned to nightmare. I even awoke feeling seasick. Everything in my dream felt intensely real.